Posted by Kim May on April 18, 2017 under DB2 Education, DB2 for z/OS, DB2 Gold Consultants, Frank Fillmore, HTAP, IDAA, TFG Blog. The next IBM-sponsored DB2 Analytics Accelerator Users’ Group meeting was announced this week. The Fillmore Group’s Frank Fillmore will be presenting one of the sessions, along with BNY/Mellon Pershing’s Al DiGiovanni, whose support and promotion of the IDAA enabled Pershing to acquire their first IDAA. Al and Frank will be presenting the meeting’s final session titled, “Increasing Utilization of the Accelerator by your Lines of Business”, a session whose topic has been a core issue for System z customers trying to persuade their colleagues to consider investing in the IDAA. As many technical teams promoting IDAA adoption have learned (the hard way! ), most organizations adopted the circa-Y2K best practice of running OLTP and analytic workloads separately, and are therefore reluctant to re-integrate the two, in spite of the cost, latency and simplicity advantages. This session is designed to surface the issue and discuss options to address and overcome it. Information on the DAAUG meeting is below. Please be advised that membership in this group is limited to current IDAA customers and registration to attend is managed by IBM. 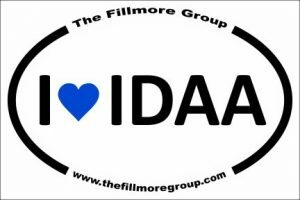 If you own an IDAA and would like to attend, and have not received an email invitation from IBM, please email me (kim.may@thefillmoregroup.com) and I will connect you to the IBM team coordinating the meeting. I hope you will join us May 9th. The IDAA is a powerful tool for performing real-time analytics on z/OS transactional data. In many cases it is left to the managers of an enterprise’s mainframe to “sell” an IDAA to lines of business (LOBs). 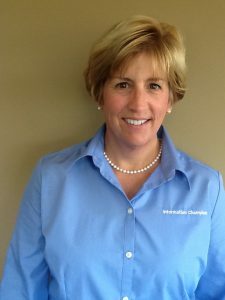 During this meeting, Ute Baumbach, subject matter expert from the Analytics on z Systems Center of Excellence out of Boeblingen, Germany, will cover the most recently introduced Accelerator features, functions and fixes. Tim Willging, Distinguished Engineer, will discuss how you can expand your Accelerator use cases with new functionality in the Accelerator Loader Tool. Jonathan Sloan, Business Analytics Executive Consultant, will present ways the Accelerator complements IBM Machine Learning. Frank Fillmore, DB2 Gold Consultant of the Fillmore Group, and a customer presenter will share their successful experiences to help you promote the value of the Accelerator to your Lines of Business. We encourage you to join the meeting in person if you are local. Web Meeting details will be provided for remote attendees. Posted by Kim May on January 3, 2017 under Data Studio, DB2 Education, DB2 for z/OS, DB2 Gold Consultants, Frank Fillmore, HTAP, IBM Champion, IDAA, TFG Blog. DB2 Gold Consultant and IBM Champion Frank C. Fillmore, Jr. will deliver a *free*, hands-on IDAA training class in Baltimore on Monday and Tuesday, February 27th and 28th. IBM System z customers considering a 2017 IDAA purchase are invited to attend. Frank has delivered similar classes in the past and looks forward to delivering this updated class featuring the recently announced IDAA V6.1. This class will combine material explaining why you should have an IDAA and how to use it (query acceleration, High Performance Storage Saver, loading non-DB2 data using the Rocket Loader tool), along with new material introducing new ways to extend your System z’s processing capabilities to the cloud and into the new world of HTAP – Hybrid Transaction Analytic Processing – with the latest IDAA release. Class is free, however attendees are responsible for their travel and lodging expenses. IBM reps are invited to join us along with their customers. The Fillmore Group will provide a continental breakfast and lunch each day, and dinner Monday evening for attendees interested in joining us. Registration is required – please follow the link below to register. • Assessment: What is the workload that would benefit from being accelerated? • Optimization: How do I monitor and optimize a workload to take advantage of the Accelerator? • Administration: Can I manage the Accelerator more effectively?